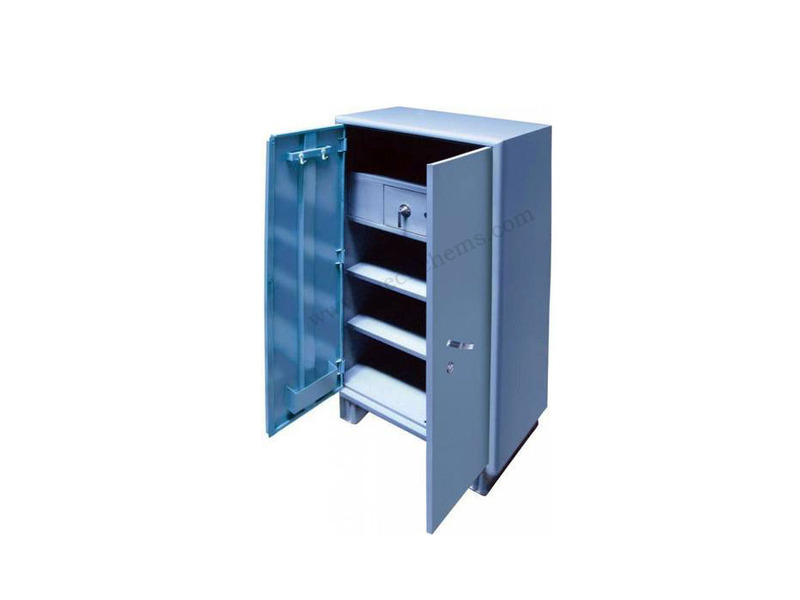 Steel Cupboard offered can be made available by us in different steel grade choices And with options of different surface finishes as demanded by the customers. Providing For lasting usage, the high fabrication standards delivered in these steel cupboards also Make these provide for lasting service performance. Some of its features include Detailed design finish; providing for royal and classy looks; fine detailing work that Make these highly desired by the customers; smooth even finish; provide for high Decor value to the interiors. 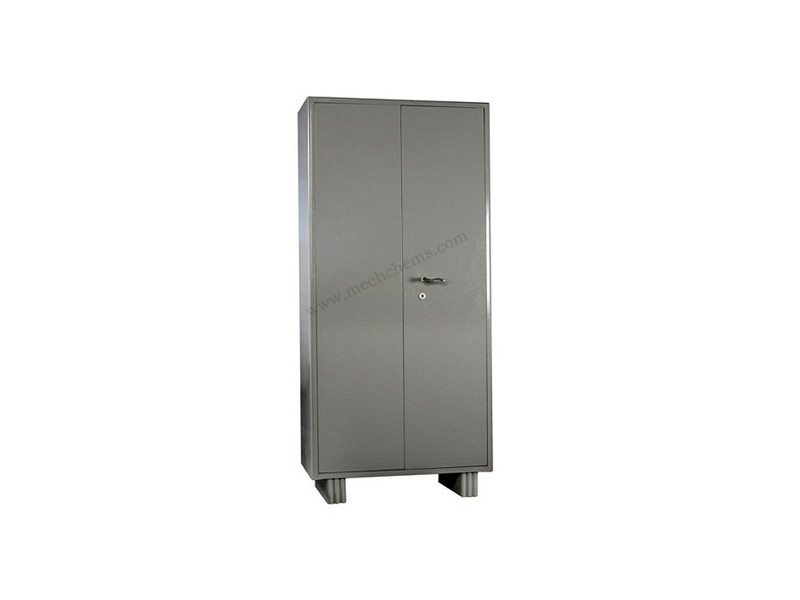 Steel Regular Cupboard approx. Size 78”H X 36”W X 19”D Having four adjustable shelves and two steel doors with three way bolting device, built in lock with keys in duplicate. Extra fittings provided as per customer requirement. 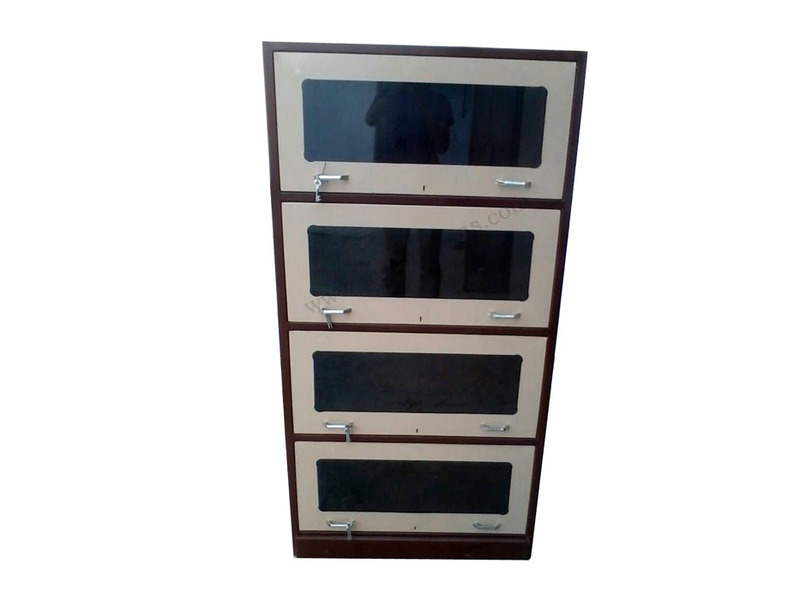 Steel Regular cupboard approx. Size 78” H X 36”WX19”D with one full locker and two adjustable shelves. 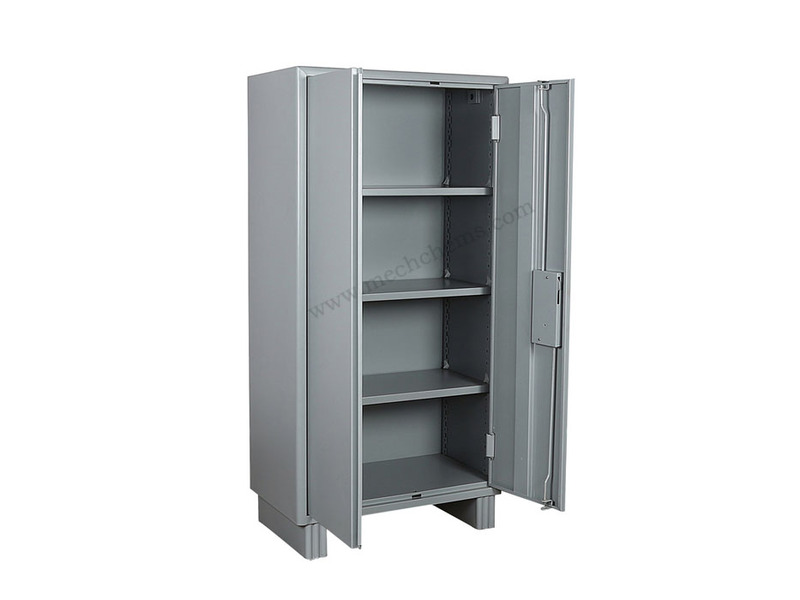 Steel regular cupboard approx. 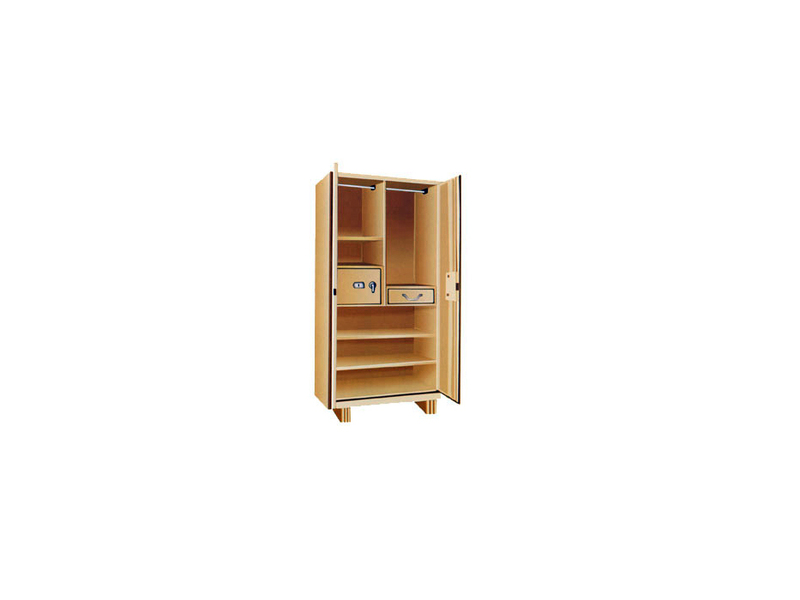 size 78” h x 36”wx22”d with a short partition of size 40”h right compartment with hanging rod and drawer, one shelf and locker in left compartment two full adjustable shelves in the bottom. Steel major cupboard approx. size 78”h x 40”w x 22”d with vertical partition locker and two shelves in right compartment, hanging rod and two shelves in left compartment. 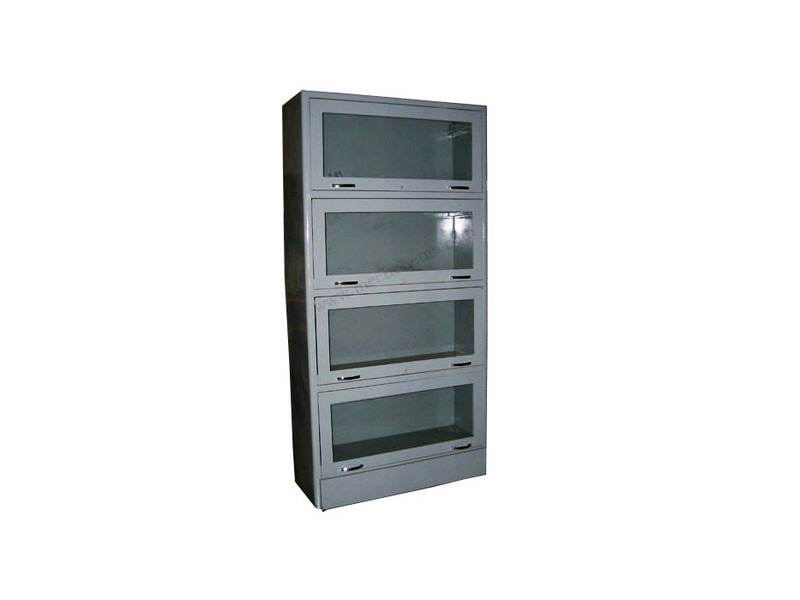 Steel minor cupboard approx. Size 50”h x 30”w x 17”d with two adjustable shelves and two steel doors with locking arrangements, keys in duplicate. 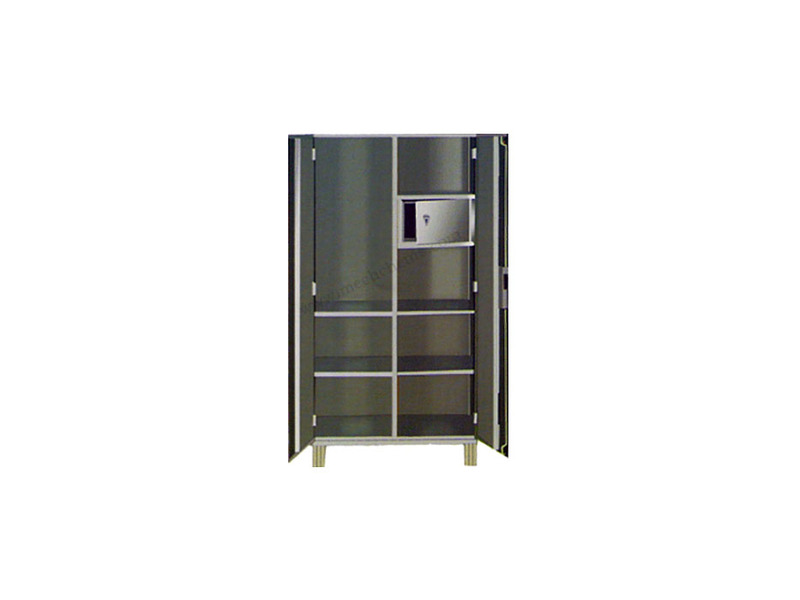 Steel minor cupboard approx. size 50”h x 30”w x 17”d with full locker and one adjustable shelf. Steel regular glass door cupboard approx. size 78”h x 36”w x 19”d having four adjustable shelves and two steel transparent glass doors with two way bolting device and keys in duplicate. Steel book-case unit of approx. size 66”h x 33”w x 12”d having four compartment each fitting with top hung disappearing transparent glass door with lock duplicate keys in common. 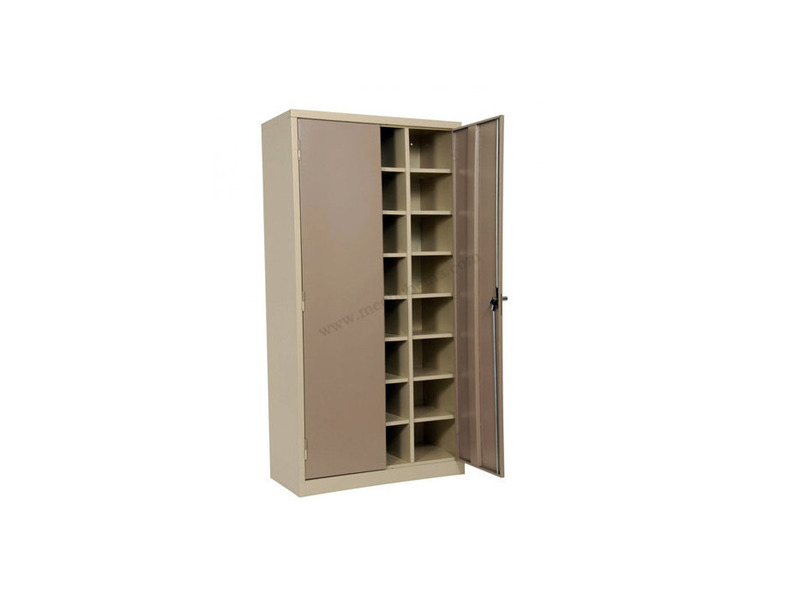 We provide pigeon hole cupboard as per client requirement.